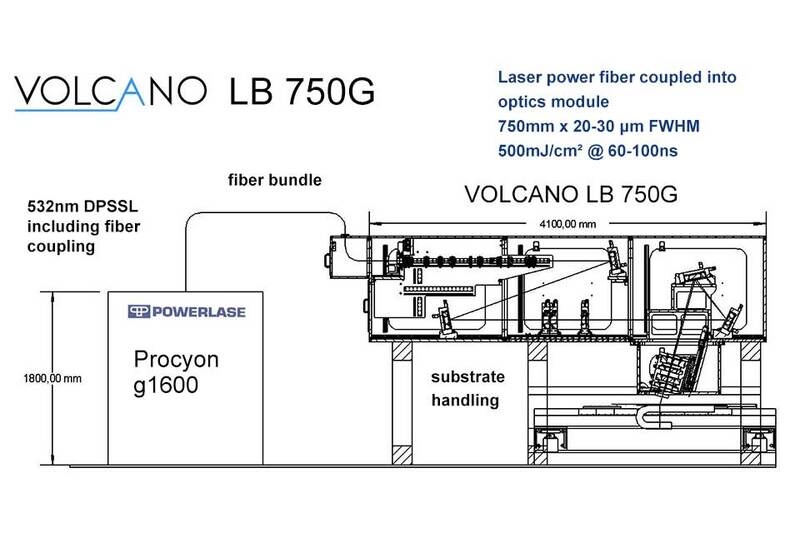 The VOLCANO® LB (Line Beam) Laser Optics consists of a fiber coupled laser module and a separate optics module. 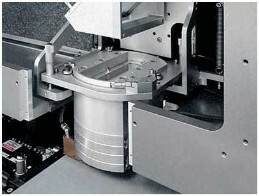 The laser beam emitted by an array of fibers is processed by cylindrical collimation optics to provide the optimal illumination of the homogenizer cylinder lens arrays. The VOLCANO® LB Laser Optics is equipped with the FALCON® XXL cylinder projection lens. This projection lens gives a working distance of ~200mm at a demagnification of 10x (NA=0.25). 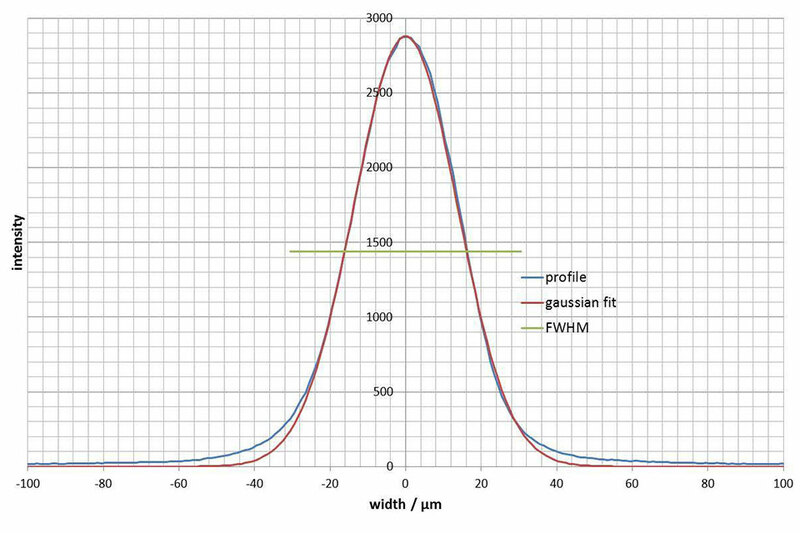 The 10x FALCON® XXL cylinder p-lens demagnifies the intermediate image in the small axis to 25-35 µm FWHM at the substrate. 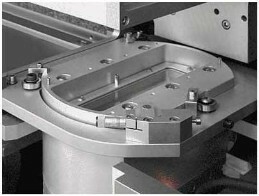 The line length can be arranged up to 750mm. 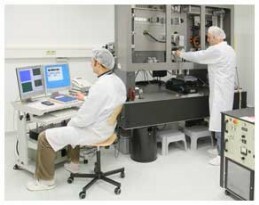 The optics is operated with the Procyon g1600, or Procyon g2000, 532 nm, 1600/2000W (Powerlase Photonics Ltd., UK). 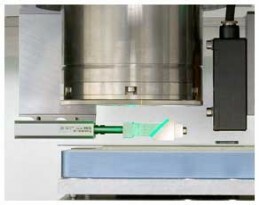 The laser light is coupled into fibers and provided to the optics module over a distance of up to 30 m.
This multiplexing of laser oscillators provides an outstanding p2p stability, a line homogeneity of σ~0,5% (p2p ~3%) and a convenient and reliable decoupling of laser and Gaussian line beam optics. VOLCANO® LB Laser Optics is applied for annealing and crystallization of thin semiconductor films, e.g. 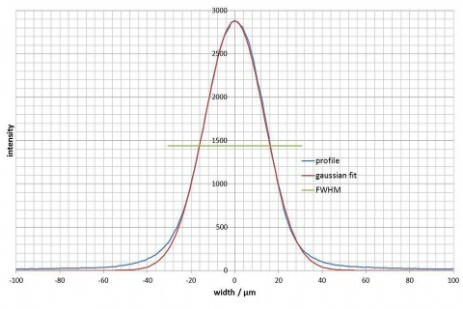 amorphous silicon films. Thin 50-70 nm a-Si films play an important role for the manufacture of thin film transistors (TFT) in LCD and OLED flat panel displays. 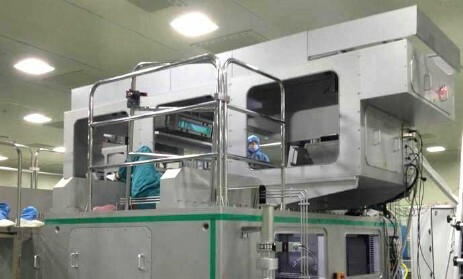 The green laser crystallization converts the amorphous silicon to poly-Si which allows short response time TFTs for high performance flat panel displays. 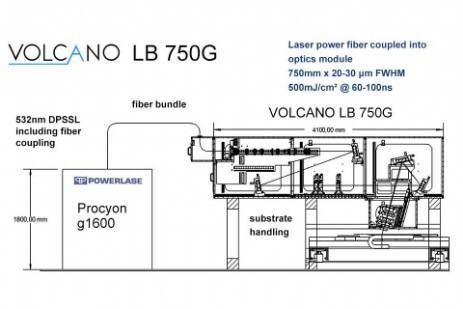 The VOLCANO® LB Laser Optics provides a line length up to 750 mm length generating ELA (Excimer Laser Annealing) type p-Si films (50-100 cm²/Vs). These films are well suited for the TFT matrix of LCD displays. 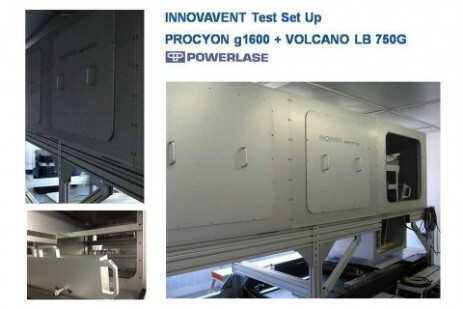 VOLCANO® LB Laser Optics has high availability (>90 %), is reliable and has low cost of ownership (<20% of an excimer laser based ELA system of the same throughput). 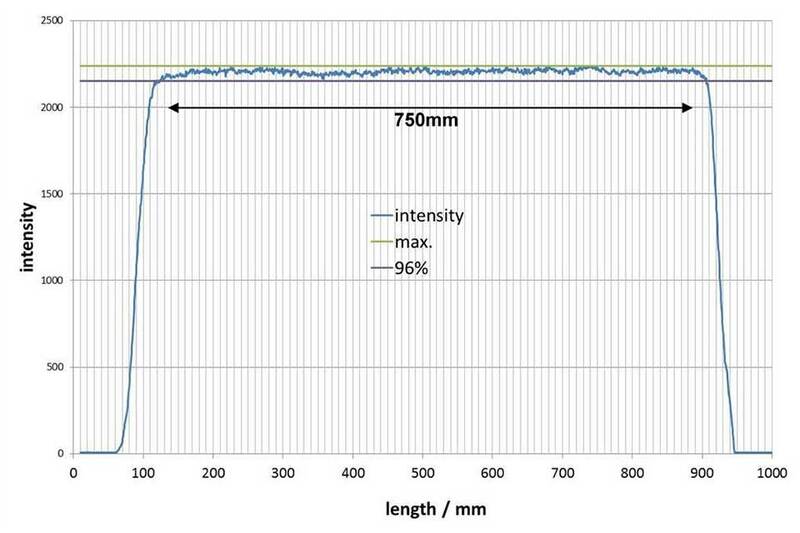 VOLCANO® LB Laser Optics include an integrated attenuator module to adjust the energy density at the substrate level. 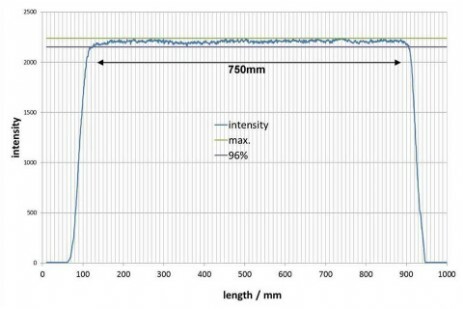 Power meter heads and a CCD camera based beam profile measurement tool are available. The Procyon lasers are a dual-use good according to EG 428/2009 and EU 388/2012.